Franco's Barbering Lounge | What are the top beard grooming products in Bristol this Spring? Clients visiting our Gloucester Road barber salon this week have been asking what’s the top beard grooming product in Bristol this Spring, and we’re confident that the Mariner Jack range can provide an awesome solution. We’ve been big fans of the Mariner Jack beard range for a while now, and their simple, stylish range of male grooming products have been a real hit with clients old and new for over 12 months. With warmer weather on the way, many of our clients want to take better care of their beards, as well as preparing them for the Summer months in advance. 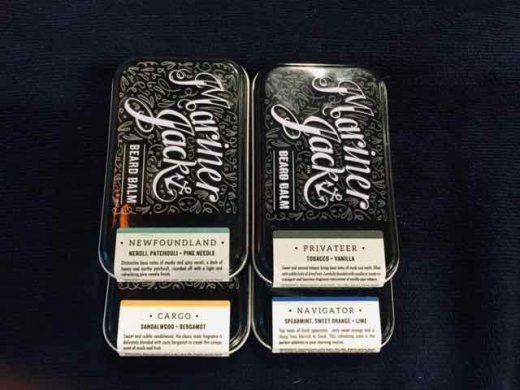 Mariner Jack offers a number of beard and moustache grooming products, including oils, serums and wax products with different scents across the range to cater for different tastes. Some of the scents include Sandal Wood & Bergamot, Spearmint, Sweet Orange & Lime and Tobacco & Vanilla. The Mariner Jack beard products are easy to apply, and have styling and conditioning elements. They come in either 30ml or 60ml options. There are also Beard Soap and Beard Wash products to try, and since discovering this fantastic range on a short break to Cornwall, Master Barber Franco Lombardi has been raving about them ever since. 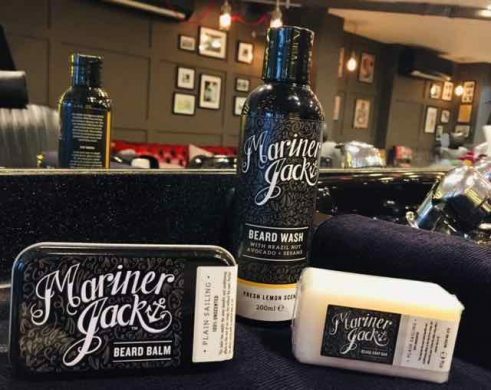 It’s great to see that Mariner Jack has now become a global brand, with the husband and wife team who launched the business going from strength-to-strength as word of mouth spreads about these awesome grooming products. To find out more about Mariner Jack male grooming products, please visit here. To keep up-to-date with the latest male grooming products in-salon, please visit our barbering blog here. To find out more about our barber salon in Bristol and the different ranges of men’s hair and grooming products we stock, contact us here.